Differential encoder interface and isolator boards. Update: I now have a limited number of the differential receiver boards available. Email me if you're interested. 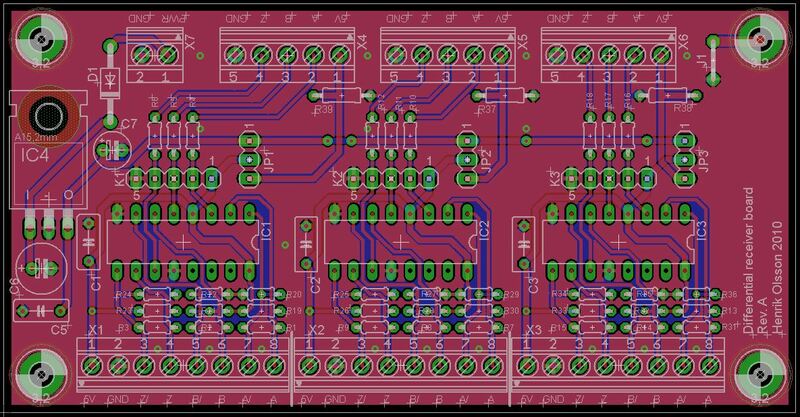 The board converts three axies worth of A-, B- and Z-signals (or 4 axies of A- and B-signals) from differential into single ended. There's place on board for termination resistors and each "channel" can be powered either from the drive OR from an external power supply via the onboard voltage regulator. The input voltage is 9-12VDC (or up to 24VDC if extra heatsinking is provided for the regulator). For servo drives that needs a minimum load on the encoder supply output (such as the Geckodrive G320) there's place on the board for the recommended 470ohm resistor in case you don't want to have it connected at the drives terminal block. An onboard jumper allows you to optionally connect the boards ground to one of it's mounting holes. 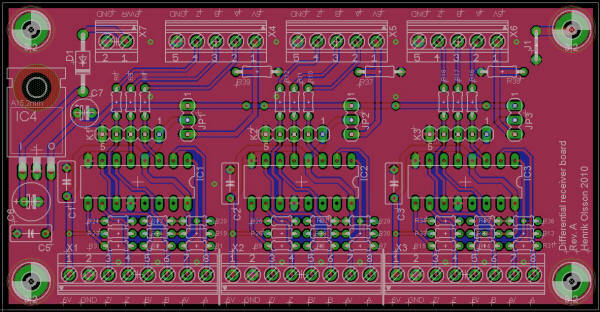 The board size is 107X55mm and all connections are being made thru 3.5mm pitch terminal blocks - either pluggable or "standard". 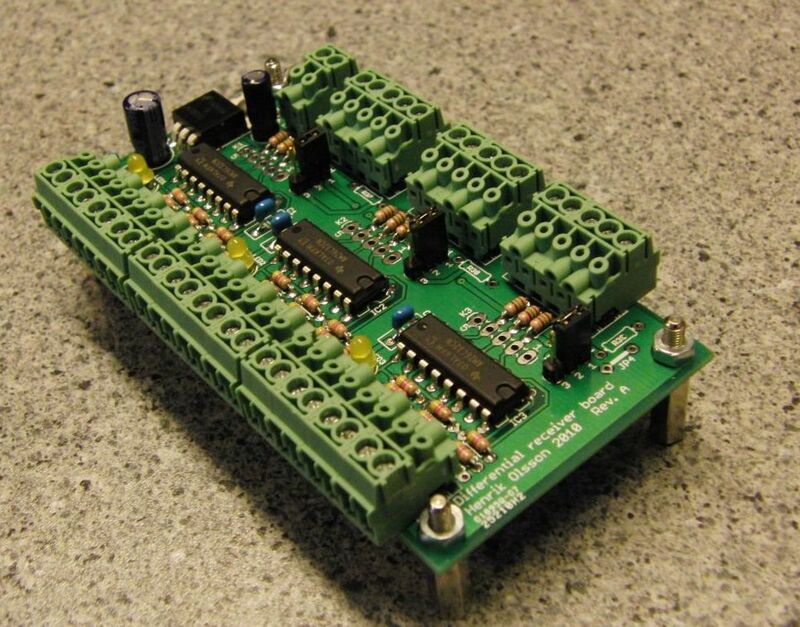 The isolator board plugs into and sits on top of the receiver board. 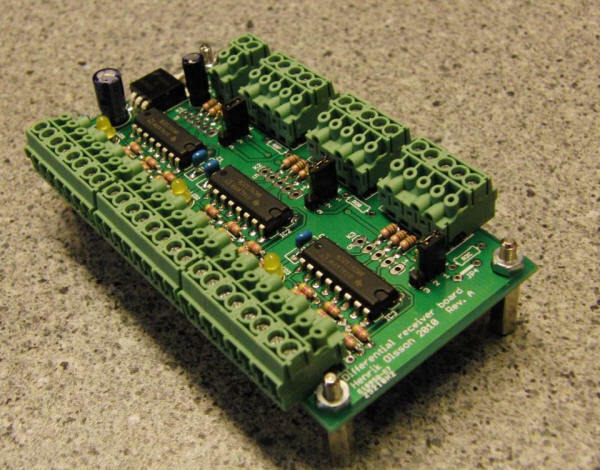 This board isolates and buffers three axies worth of A- and B-signals so they can be shared between the drive and a second unit such as a DRO or interfaced to a Smoothstepper or LPT-port and displayed in Mach3 etc. The board features its own on board voltage regulator to power the "isolated" side of the circuit and the input voltage is 9-24VDC. 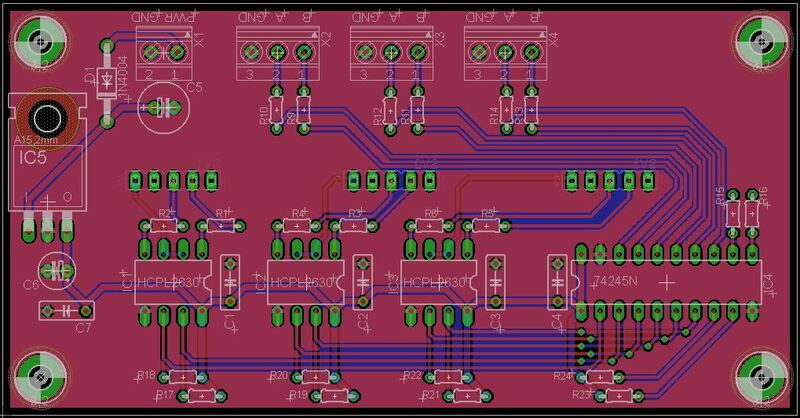 I'm thinking of putting together kits with PCB and parts as well as finished and tested boards. The PCB's will be professionally fabricated but the boards will be assembled by me personally and manually. Copyright 2010 Henrik Olsson. All Rights Reserved.